Computers have a massive impact on our personal and professional lives. They effect the way we work, the way we communicate, the way we use our leisure time, and the way we live our lives. This trend will only accelerate and the related professional opportunities will continue to expand. 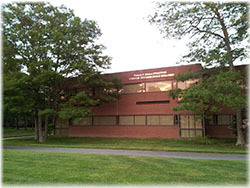 CIS students at Bristol Community College acquire the knowledge and skills to participate in this world-changing phenomenon. Spring semester classes begin on Wednesday, January 23rd. CISWEB account information will be sent during the first week of classes for select courses. Please check your BCC email for your username and passwords during this time. Microsoft Access is available to all Bristol students FREE of charge with your Office 365 student account. Instructions for downloading and installing the Microsoft Office 365 ProPlus suite, which includes Microsoft Access are available on the How-To Page. Microsoft Visual Studio Community 2017 is a FREE, fully-featured IDE for students, open-source and individual developers which can be downloaded from https://www.visualstudio.com/downloads/.